We've brought back Gareth D Morewood's popular SENCology blog. In his first post, Gareth considers current tension in the profession and sets out three elements for an inclusive school in times of change. Education hasn’t experienced such change in decades, with changes to Initial Teacher Training, appraisal, terms and conditions, curriculum offers and assessment, as well as the biggest SEN reform since inception. There is a shocking amount for experienced teachers to consider, let alone those starting out in the profession. 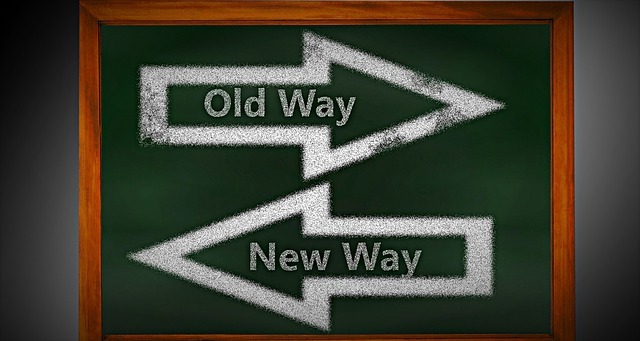 After over a decade as a SENCO in a large, inclusive secondary school, I have never experienced such a ‘tension’ in the profession, which appears to originate from the plethora of policy change, political issues with ideology and for us SENCos, the most significant reform since the inception of the first Code of Practice in 1994. It is easy to allow for the associated issues to ‘overtake’ the SEND reform, but as a passionate believer in inclusive education as part of a rights-based entitlement, I think it is vital that we engage with debate and consultation in order to ensure that new arrangements don’t weaken the rights of our most vulnerable young people to an inclusive education that should be a basic right. It is very difficult trying to maintain high outcomes for young people with SEND at the best of times, yet with the increased tension from the rapid and significant changes to the system as a whole and demise of ‘pupil-centred’ approaches in addition to SEND reform and Pathfinder trials – now it's a very difficult time indeed. I have always tried to be a solution-focused as possible; as SENCOs we need to try and ensure the best for our young people now, for not doing so can mean a loss of schooling and disruption that may have lasting effects upon the individual’s ability to have a successful life chance. At the time of writing there are still debates about regulations and legislation that will form the bedrock of the new Code, which is now not expected until the summer term. Rather than do nothing, I think it important to consider what schools and SENCOs can do to prepare. I most certainly don’t have a crystal ball, however I can offer three key elements for an inclusive school model that would provide an excellent starting point from which the new SEND arrangement can be considered in more detail. It is extremely important that the ‘curriculum offer’ is inclusive. Trying to ‘force’ young people with increasingly complex needs into a pre-prescribed curriculum often causes problems that can be easily averted. Developing supported curriculum pathways for students allows for a more inclusive approach. For example, during the options process offering choices for additional core subject options taught by subject specialists allows students access to an appropriate curriculum without the need for ‘withdrawal’ sessions. Also, often upon transition, nurture groups support a more personalised curriculum approach for those who need a more bespoke package. Being an inclusive SENCO can only go so far, we need strong headteachers and governors who truly value the individual and promote equality – there is only so far a SENCO can go on their own. This needs to start with education, ensuring our leaders value the positive elements of their school populations and celebrate success for all. Unfortunately SEND elements of NPQH courses often only provide ‘elected modules’. I feel that lobbying for compulsory elements of SEND in headship qualifications and leadership courses would be a useful long-term source of effort; however, with the fact that the NPQH is now no longer a compulsory qualification this is even more difficult to pursue. Qualifications and policy aside, valuing diversity and empowering leaders of our schools to see past the ‘challenges’ of inclusion is vital. Many organisations (e.g. Allfie) provide useful support and additional thinking as to why this is really worthwhile, if colleagues are unfortunate enough to be bereft of these values intrinsically. With young people who have more complex needs and often an increasing number with hidden disabilities, education and awareness are essential, especially if we are to try and support better ‘life chances’ for young people in our schools. If young people with disabilities are empowered to explain their needs and challenges to peers, they are empowered but so are the peer group. I see this as an essential part of developing a truly inclusive society. Delivering whole-school assemblies is a useful starting point, but creating a culture of continuous training and development coupled with raising awareness is important. Start now. It is important to consider the development of provision now, rather than wait for legislation and the new Code. Be prepared by developing whole-school inclusive solutions which will, through their definition, support any subsequent changes that lie ahead.